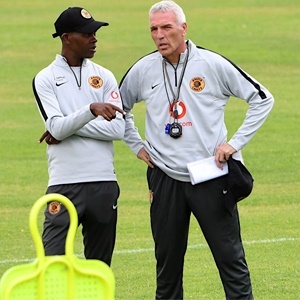 Cape Town - Kaizer Chiefs were drawn away to Chippa United in the Nedbank Cup semi-final with the Amakhosi hoping to continue in their quest to break a four-year trophy drought. The Soweto giants beat Cape Town City 2-0 in their quarter-final clash on Sunday thanks to goals by Pule Ekstein and Dumisani Zuma and immediately after the game the draw took place where they were pitted against the Chilli Boys. Chippa beat Bidvest Wits 5-3 on penalties on Saturday in what was a thrilling contest that ended in a 4-4 draw after extra-time. Chiefs last won a trophy in 2015 when they were crowned Premiership champions under now Bafana coach Stuart Baxter and their trophyless run is making fans edgy. Golden Arrows' reward for knocking out fellow PSL side Bloemfontein Celtic will be a last-four tie against National First Division outfit TS Galaxy. Dates and venues for the Nedbank Cup semifinals will be announced by the Premier Soccer League in due course.